Ah, yes, I know....I don't post much. This falls to the backside of everything else that keeps us busy. But the kiddos and I are working on a fun Christmas countdown project. It's fun and should only take me a few minutes to post it everyday. I can't promise that I will post everyday and I probably won't, but we hope to get 1 done a day. 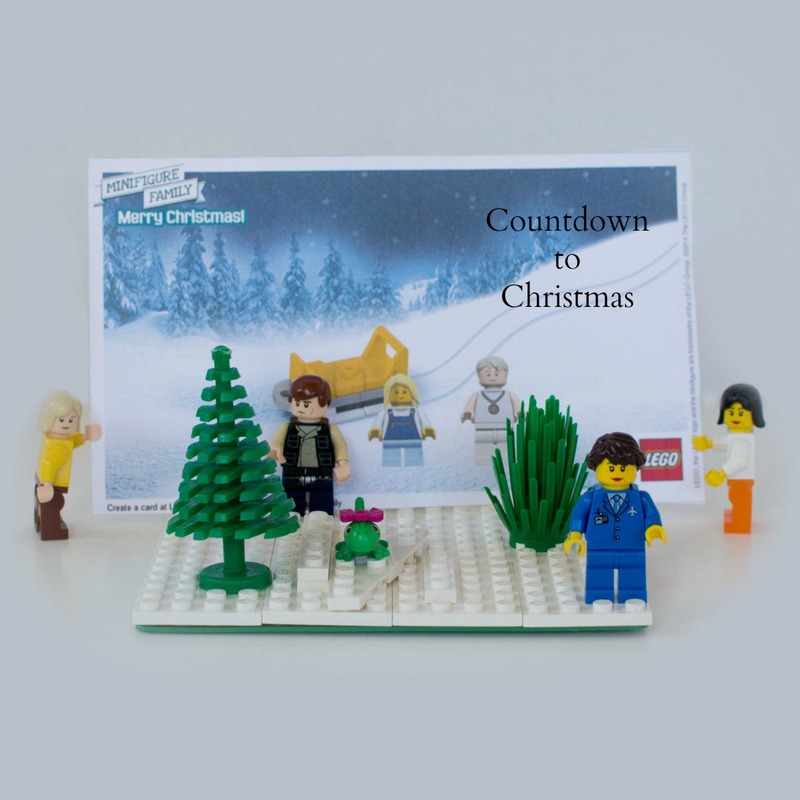 The kids and I will be making little Lego scenes to countdown to Christmas. Today is the intro scene. They used the minifigure card maker at Lego.com to make the Christmas postcard that two minifigures are holding.